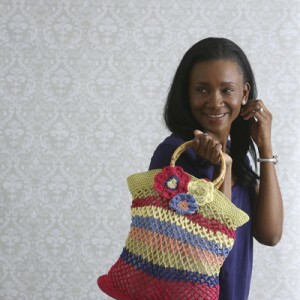 Find our favorite crochet bag patterns including crochet purses, totes, gift bags and more in this collection. 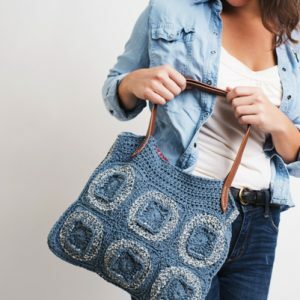 Whether you need to make a simple market tote bag to carry your groceries or you’re after a messenger bag in order to bring some handmade style to your office wardrobe, you’ll find all that and more here! Find shoulder bags, cute backpacks for kids, and even small bags like clutches and makeup bags here. 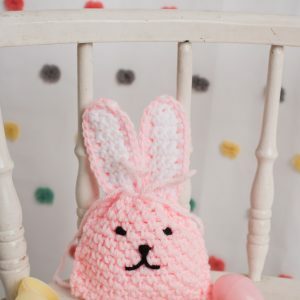 It’s really easy to crochet bags – if you can work up a granny square, a scarf or a hat, you can work up a variety of crochet bag styles, too! See how easy it is to customize your own weekender bag for a weekend getaway, or make a precious little makeup bag to keep your purse neat and organized. Before you get too intimidated – yes, it really is easy to add shoulder straps and sew on a zipper, do never fear. 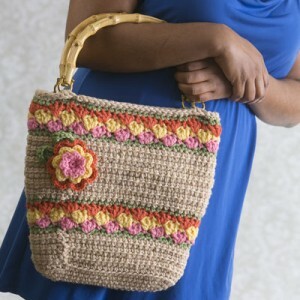 Resembling a vintage straw tote bag, the Spring Fling Floral Tote is your perfect springtime accessory. With sturdy handles and a brightly-lined inside, this tote is perfect for all your sunny adventures. 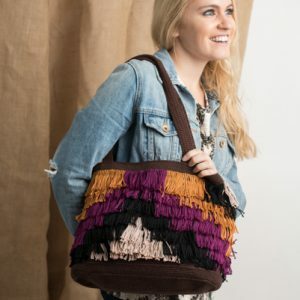 This fringed tote is sure to make a statement! Swishy fringe detail begs to be touched. 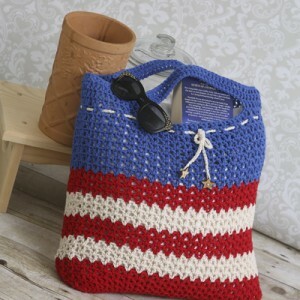 The body of the tote is worked in a continuous spiral from an oval base and the sides have alternating “ridge rows” and plain rows. 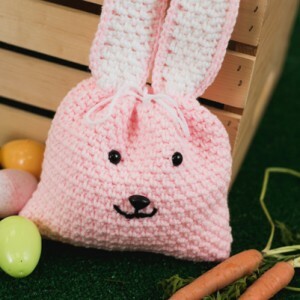 Get ready for compliments whenever you don this creative bag! A chunky, textured clutch that will add a bold element to any night out. 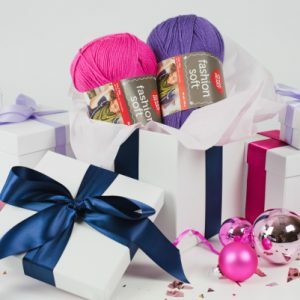 Inspired by the ribbon textile yarn, it works up in no time and is complete with a wild lining.